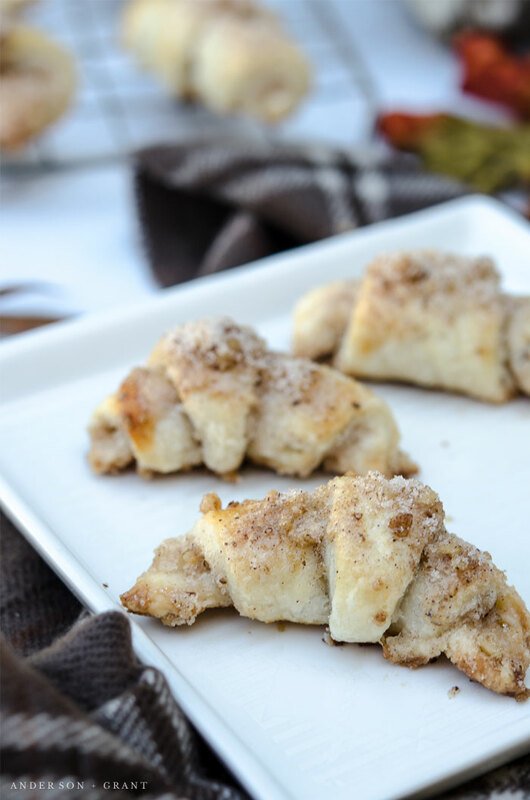 Tired of seeing pumpkin recipes this season? 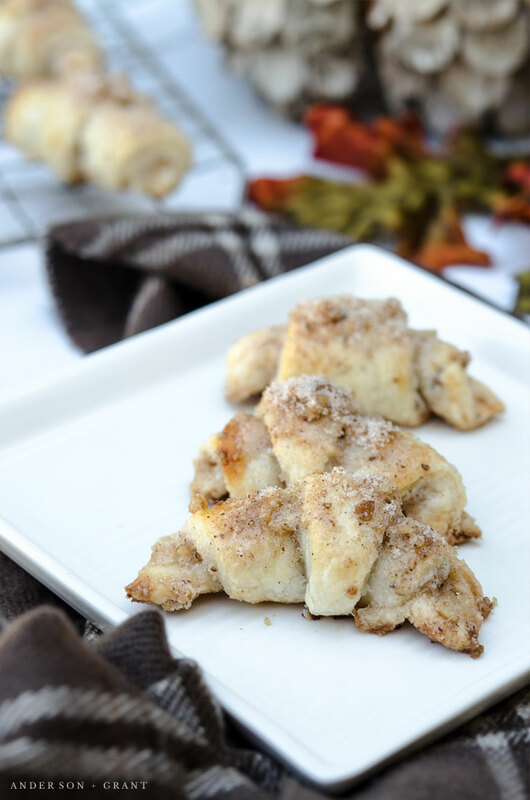 Try these flaky and tender Vanilla Walnut Crescent Cookies that are a buttery dough rolled up with a pinch of fall flavor. Welcome back to day two of my first ever Fall Baking Week. In case you missed it, this week is devoted entirely to whipping up delicious treats inspired by the flavors of fall. Yesterday's recipe was for Pumpkin Chocolate Chip Cookies....one of my personal favorites out of what I'll be sharing. Links to everything from the week appear at the end of this post. And then there are others who cringe at the thought of seeing another thing that has had pumpkin added into the recipe. If you are in this camp, you'll be happy to know that not every recipe this week features the orange fruit. For example, today we are baking some Vanilla Walnut Crescent Cookies. The recipe was found on the Taste of Home website. I'm actually not a fan of walnuts. You'll normally find me picking them out of the Thanksgiving Jello Salad and Pumpkin Cookies if the pieces are too big. But knowing that I wasn't the only one who would be eating these cookies, I decided to give the recipe a shot. 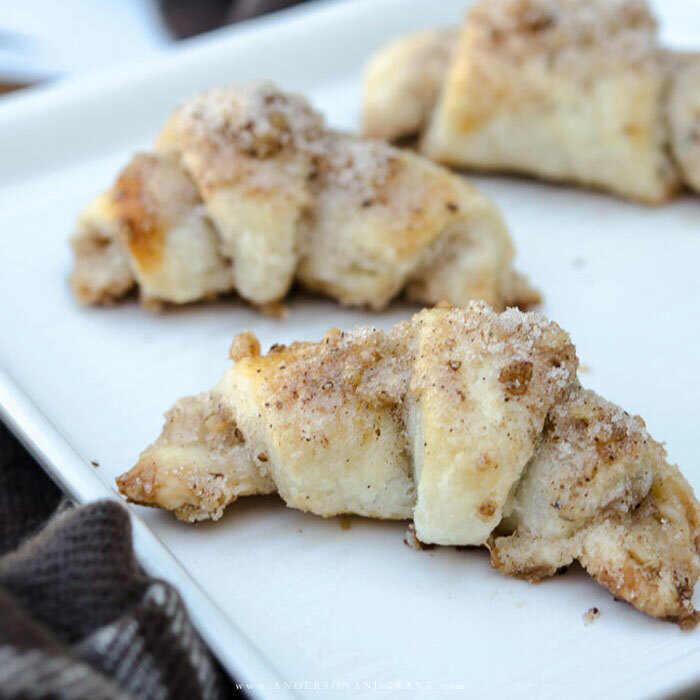 And just between you and me.....These Vanilla Walnut Crescents are actually good! Those that like walnuts have even said that they are delicious. Making the dough is very similar to mixing up a pie crust and the cookies turn out flaky and tender. 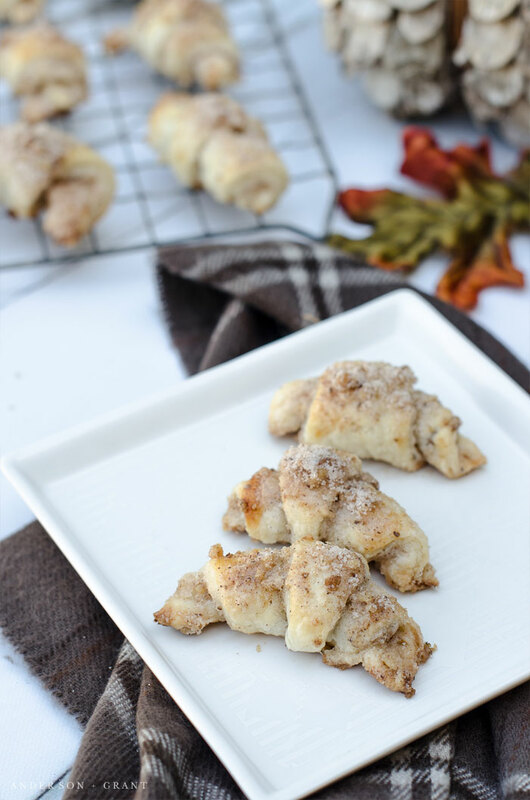 The insides are filled with a mix of finely chopped walnuts, sugar, and cinnamon, which is also sprinkled on the outside before popping them into the oven. They really are a bite-size cookie of buttery goodness. In a large bowl, combine the flour and salt with a whisk. Cut in the butter with a dough cutter until the mixture resembles coarse crumbs. In a small bowl, whisk the egg yolk (save the white for later in the recipe), sour cream and vanilla together. Add this to the crumb mixture and mix well. 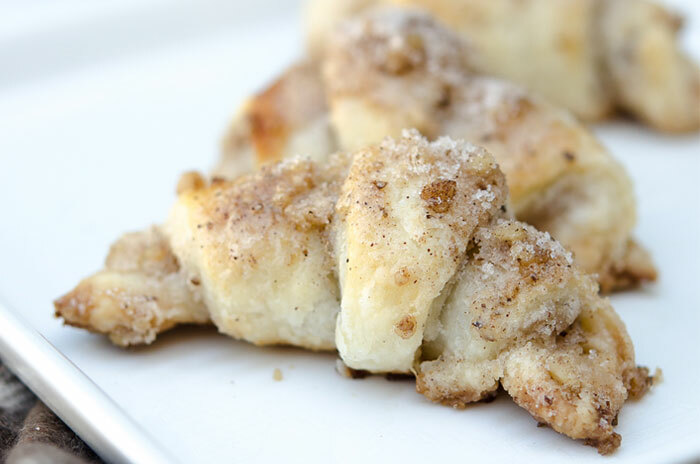 Divide the dough into thirds and create three rounds as though you were making pie crust. Wrap each one in plastic wrap and place them in the refrigerator for at least four hours or up to overnight. While you wait, you can combine the walnuts, sugar, and cinnamon in a bowl. Cover the bowl until it is ready to be used. Unwrap a round of dough and roll it out into a 10-inch circle on a lightly floured surface. Sprinkle 1/4 cup of the nut mixture over each circle leaving the very center free from the nuts. (This will help the end to attach securely into the dough when you roll it up. Gently press it into the dough with the palm of your hand. Cut the circle into 12 evenly sized wedges. Roll up each wedge starting with the wide end and place the point side down onto a baking sheet lined with a nonstick liner or parchment paper. Curve the ends of the cookie to form the crescent shape. 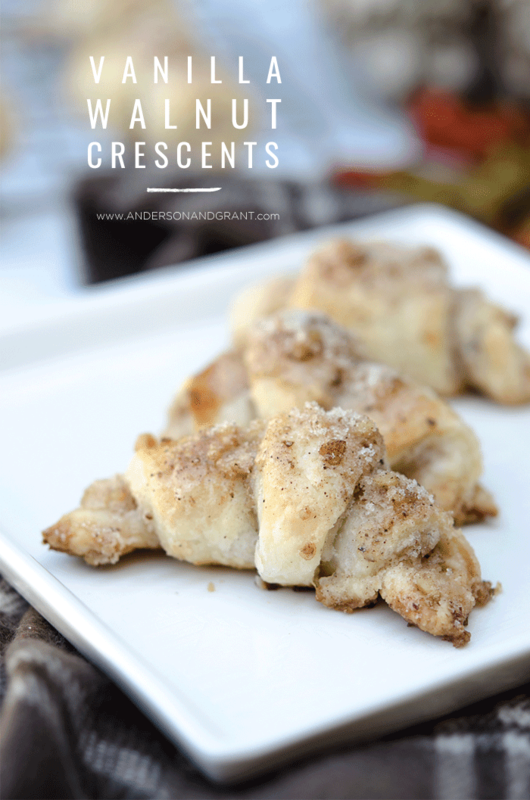 Place the crescents about 1 inch apart. Do this for the other two rounds of dough as well. Whisk the egg white until it is foamy and brush it over the crescents. Sprinkle the remaining nut mixture over the crescents. Bake the cookies at 350 degrees for 18 to 20 minutes or until they are lightly browned. Immediately remove them to a wire rack to cool.